Has onion lost its political relevance? Its price has again crashed like the last few years. And again, it has not created any political ripple even in and around Asia’s largest onion market in Lasalgaon in Nashik district of Maharashtra. The market price of onion is quite lower than its production cost. According to government data, the onion price at Lasalgaon market dropped to Rs 450 per quintal, which is almost half its production cost (Rs 800-900 per quintal). The investment cost of onion has increased from Rs 6-7 to Rs 9 in the last few years because of two consecutive droughts and demonetisation at the fag-end of 2016. The market price of onion (per quintal) ranged between Rs 600 and Rs 750 in January. It further dropped to Rs 450 in February. Clearly, the tragedy with farmers is that they earn less as they grow more. 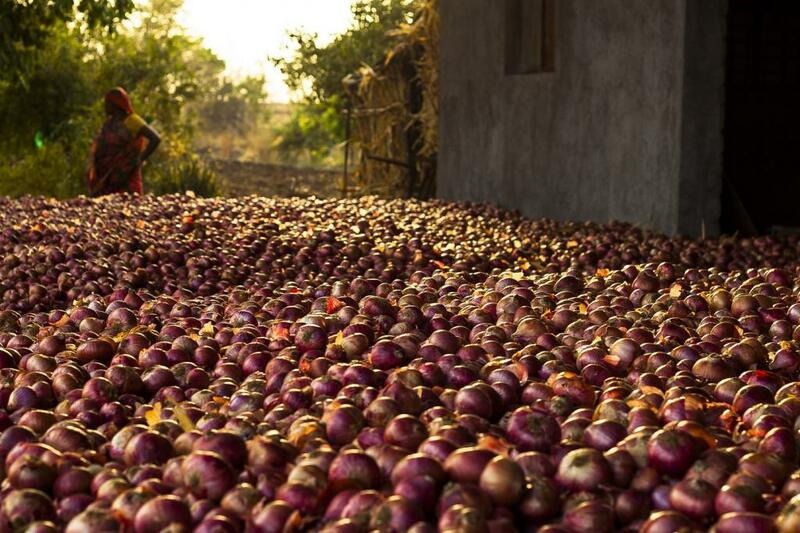 Last year, farmers were forced to sell out their onion for even less than Rs 1 per kg. Distress selling led to farmer suicides in western Maharashtra and Telangana. Can we blame it only on overproduction? India has the largest onion acreage in the world, which is 19 per cent of world’s total onion acreage. But it comes second in terms of production, after China. Maharashtra contributes around one-third of country’s total production of onion and Nashik district is the largest producer of onions in the country. In 2015-16, the onion production was 11 per cent higher than previous year (2014-15). The production was around 18 million tonnes in 2014-15. But in 2016-17, according to government’s estimate, production would be five per cent more than average normal production—18 million tonnes. The government has been attributing this problem to overproduction of onion but it has been silent on price intervention to contain the price crash. Even last year, Maharashtra government couldn’t come up with a market intervention scheme to arrest this price fall. The Centre puts the ball on the state’s court, citing agriculture is state subject. In the recent civic polls, the National Congress Party (NCP) leader Supriya Sule demanded government intervention to control crashing of onion price and save farmers from distress selling in Nashik. The issue of distress selling and crash of price had created no impact on polls result as the NCP’s sway was reduced to seven seats from 20 seats. The ruling BJP’s tally increased from 14 seats to 66 seats. In 1980, rising onion prices was one of the factors that helped Indira Gandhi topple India’s first non-Congress government. Some two decades later, in 1998, the BJP had to pay heavily in Delhi due to onion price rise. The vegetable, which had once pulled down governments, has not been able to grab the attention now. Besides onion, farmers are witnessing price crash for potato and tomato as well. In the face of reality, the idea of doubling farmers’ income looks like a daydream. Meanwhile, in the weekly radio programme “Mann Ki Baat”, PM Modi claimed that farmers are celebrating over production like celebrating Baisakhi and Pongal.